The Sweet 16 is the regional semifinal round of the Division I Men’s Basketball Tournament. Winners of Sweet 16 matchups reach the Elite Eight. How did the Sweet 16 get its name? It's believed that CBS commentators originally started using the term in the late 1980s after the NCAA tournament expanded to 64 teams. But before that, the Sweet 16 was the name of the Kentucky High School Athletic Association’s annual championship tournament. The NCAA and the KHSAA struck a deal, and the trademark now belongs to the NCAA. (Via Slate). Who made it to the Sweet 16 in this year's tournament? The teams in the Sweet 16 in the 2018-19 tournament are: Florida State, Gonzaga, Purdue, Tennessee, Texas Tech, Michigan, Oregon, Virginia, LSU, Michigan State, Auburn, North Carolina, Virginia Tech, Duke, Houston and Kentucky. Who made it to the Sweet 16 in 2018? Where is the Sweet 16 played? The Sweet 16 can be played all over the U.S., and it takes place in the same arena as the Elite Eight. In 2018, the Sweet 16 host cities were Atlanta, Los Angeles, Boston and Omaha. When does the Sweet 16 take place? The Sweet 16 takes place on the Thursday and Friday of the second week of the NCAA tournament. 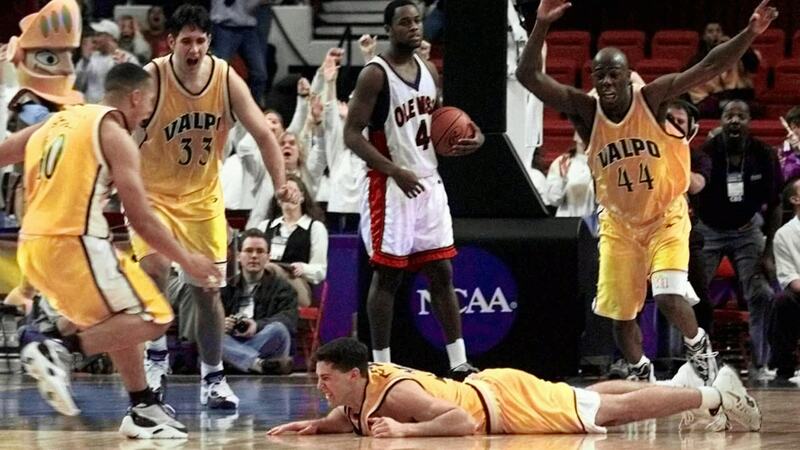 Who are some notable Cinderellas who’ve made it to the Sweet 16? Where will the Sweet 16 take place in 2019? The Sweet 16 will be played in Anaheim, Louisville, Kansas City and Washington, D.C. in 2019.